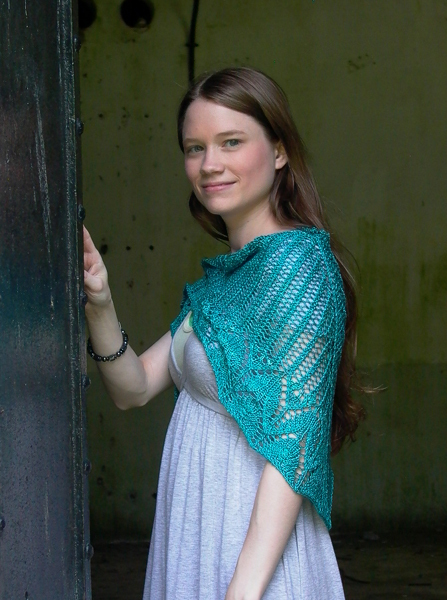 A pretty little shawl that is as fun to wear as it is to knit. 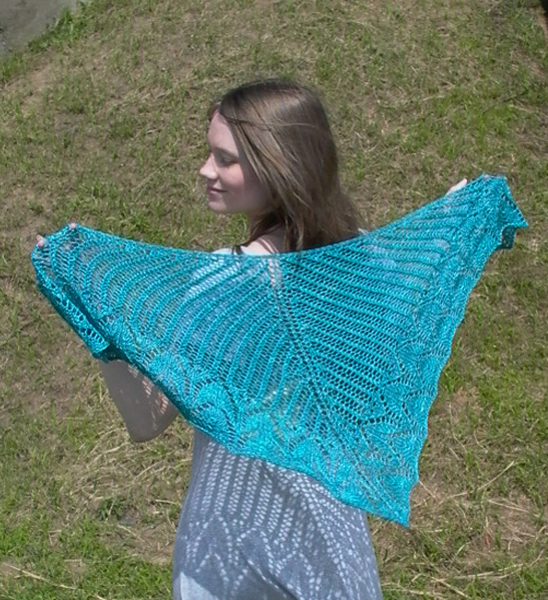 Knit up in a DK weight yarn on larger needles, you will have a finished shawlette in no time at all! 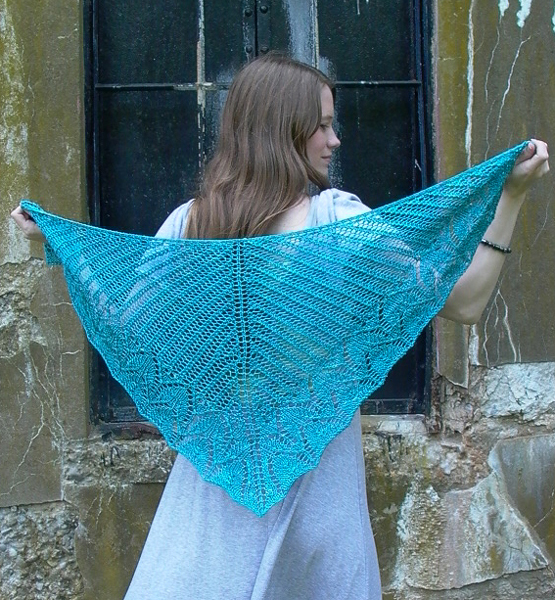 Makes a lovely companion for a day at the beach or when confronting that first Fall chill.